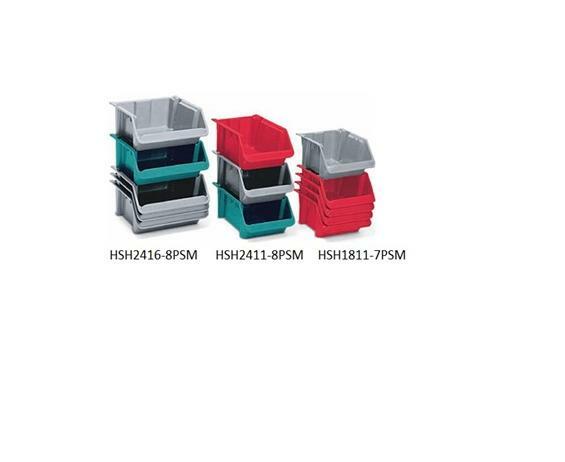 These bins are designed to stack and nest within the floor area of a single box. Withstands temperatures of 40°F to 240°F. No sharp corners to damage products. Ideal for heavy duty storage, work-in-process and distribution uses. Consistent tare weights make weighing of parts much easier and quicker. 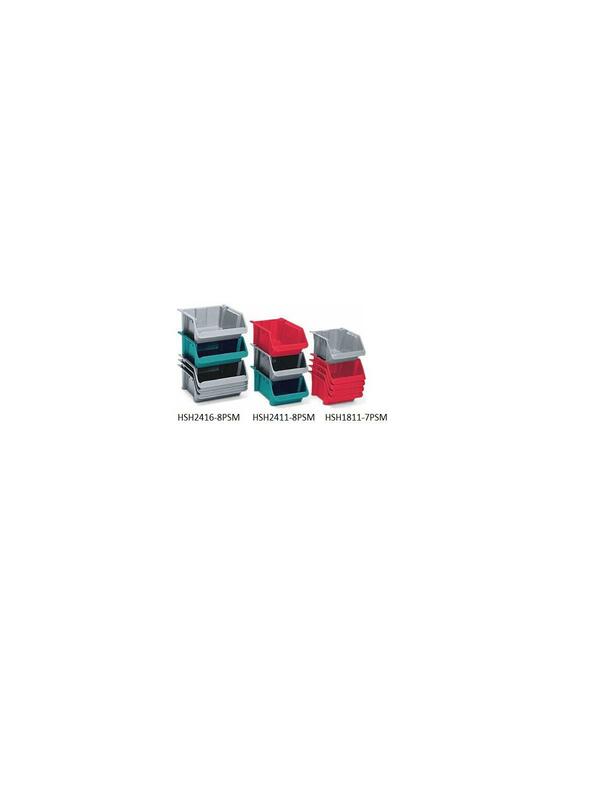 Available in Gray, Green, and Red. FOB Shipping Point. See Related Items tab for Fiberglass Plexton® Stack-N-Nest Covers and Fiberglass Plexton® Trays. 24.1 x 16.3 x 8"24.1 16.3 8"